A quality roof is essential to the protection of your family and home. If your roof is damaged, worn, leaking or sagging, you’re likely in need of a new roofing system. 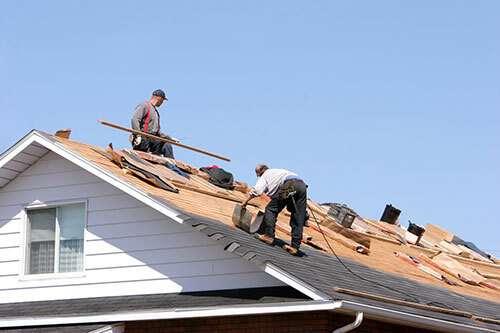 New View Roofing is a trusted Dallas roofing contractor with decades of experience in the industry. We specialize in residential roofing services and can expertly recommend the best installation for your property. Leaky roof. This is most noticeable when water leaves stains on the interior ceiling of your home. You can also check the attic for stains. Storm damage. Damage from wind and hail often shows as cracked, lifted or missing shingles. Time. If it’s been over 20 years since replacement, chances are your roof is nearing the end of its lifespan. Aside from providing increased protection against harsh weather conditions, a new roof can greatly benefit your home. It can increase overall property value. If you’re looking to sell or re-finance your home, a roof replacement can add great value. It can enhance your home’s curb appeal. Your home will stand out for its curb appeal and beauty. We have a large selection of shingle options to meet the design needs of your home. It can be cheaper in the long run. If your roof is older, you might be spending a considerable amount of money on frequent roof repair and maintenance. Although a replacement is a sizable investment, it will lessen the need for regular repair. Your family’s protection is important to us. As a locally-owned and -operated company, New View Roofing is a trusted Dallas roofing contractor that provides quality roof replacement for homeowners throughout the metro area. Within 24 hours of receiving your scheduling request, we’ll be on-site to provide you with a free inspection. Call us at (469) 232-7220 or contact us using our online form. We look forward to hearing from you!